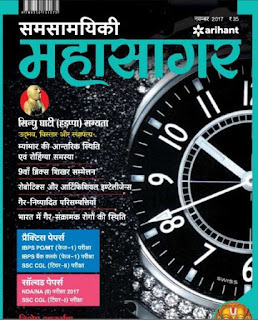 Download Arihant Samsamayaki Mahasagar for September 2017 month. This pdf contain all updates of November 2017 month, in Hindi language. Useful for aspirants of Hindi background. Download it from the link given below.